Diwali, also known as Deepawali, it is one of the most important, highly anticipated and very beautiful festivals celebrated in parts of India and Nepal. 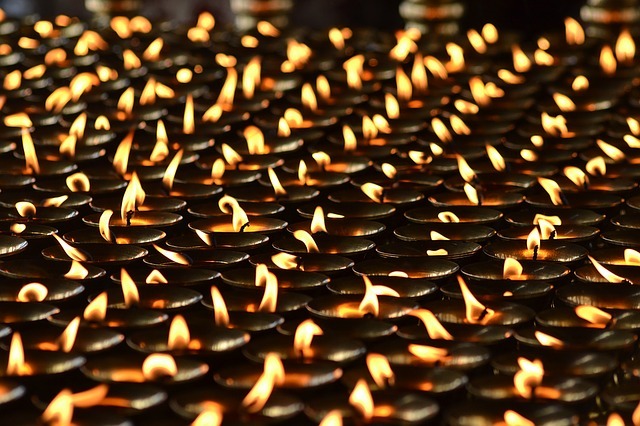 Originally, the name was Deepawali, whose origin is from Sanskrit, which means "Lines of Deep". Over the years names have been pronounced in the form of Diwali, especially in Hindi, while it still remains Deepawali in Nepalese. Diwali is also known as "Lights of Fest", which is celebrated with great excitement and is celebrated as an official holiday throughout India. The festival of Diwali is not only important for the Hindus but also the importance of Jainism, Buddhism and Sikhism. For Hindus, it is associated with the return of Lord Rama to Ayodhya after his 14 years of exile and victory over Ravana's monster. On that day, in the state of Ayodhya he was welcomed with the lines of Deep, which became lighter throughout the state. On this day people worship God. There is a special worship of Goddess Lakshmi and Kuber deities of wealth. On this day, fireworks are completely illuminated by the sky. After this, family and friends of the family celebrate this night by sweets and food.